Genetic traits: Trolls are often found under bridges or in caves. They have an extreme sensitivity to light which although hinders them in the day, makes them great companions when traveling in dark caves. Trolls are also known for faster than normal healing rates. 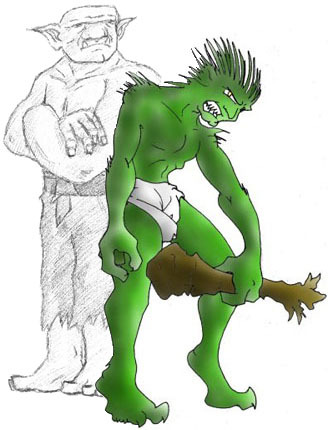 Physical description: A trolls body resembles that of a human. Although they are a bit stronger and dumber then humans they are equals when it comes to combat.